Rice will always be a part of our lifestyle. Although I made a commitment to myself that I would eat less rice, I still find myself asking for another cup when I am served really good, savory dish. Seriously, how do we enjoy Filipino favorites like Kare-kare, Sinigang and Menudo without rice? 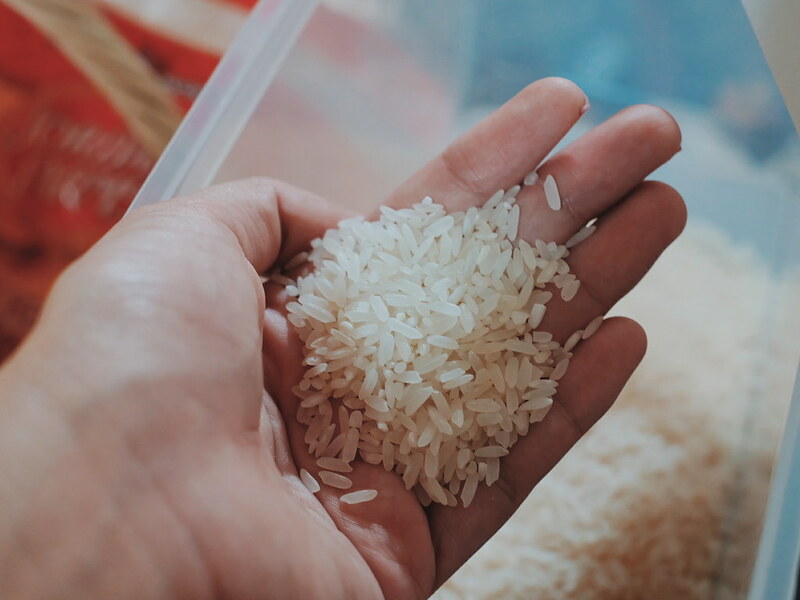 A few years ago, we tried eating brown rice at home (inspired by the organic farm tours that I participated in some years ago) However, we felt that the brown rice that we buy from the local store (we live near Divisoria), is not the best product that we can source for our brown rice supply. 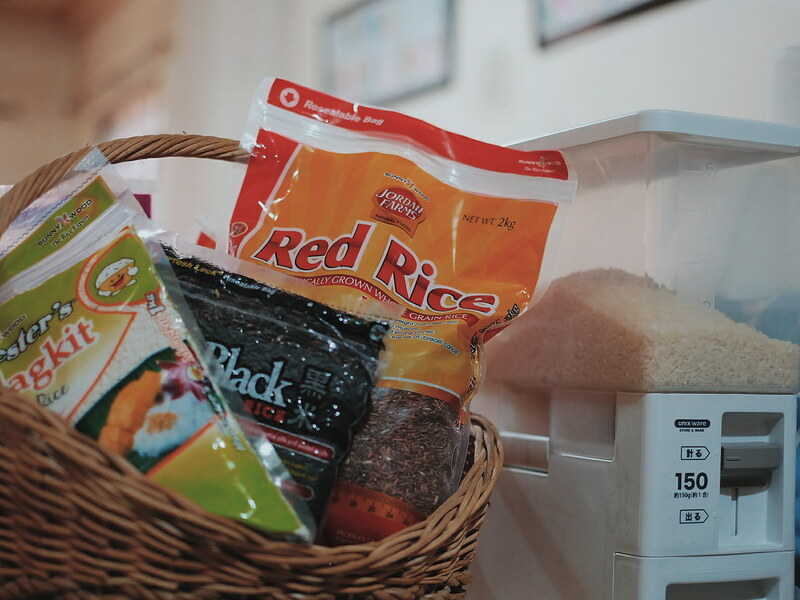 We then got acquainted with Sunnywood through its flagship brand Harvester's and Jordan Farms which carries premium-high quality and organically grown rice in different variants and colors. If you are curious about our cute rice dispenser, you can read about Asvel Rice Dispenser here. Inspired to eat healthier food, I decided to cook my own rice tonight. 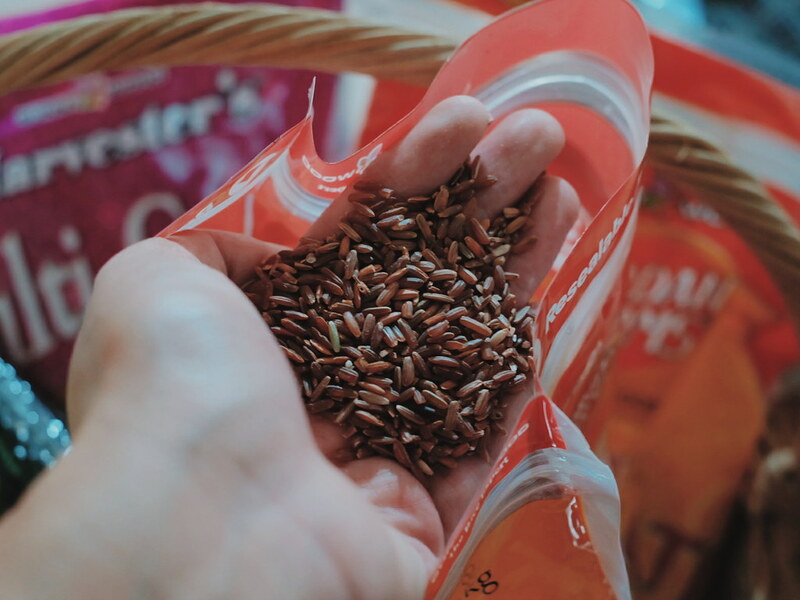 Jordan Farms Red Rice is unpolished whole grain rice. It is organically and locally grown. I love supporting organic and local brands so I didn't think twice consuming this product. Red Rice is rich source of fiber, multivitamin B (which is good for energy levels, brain function and cell metabolism), manganese and zinc. I think that as we age and get older, these are the things that we need to consider when thinking of what to consume for our body. I read that eating Red Rice would help tone muscles, speed up metabolism and lower cholesterol. These are the things that my body currently needs. And since my mom is diabetic, Red Rice is a better option because she cannot also quit rice. 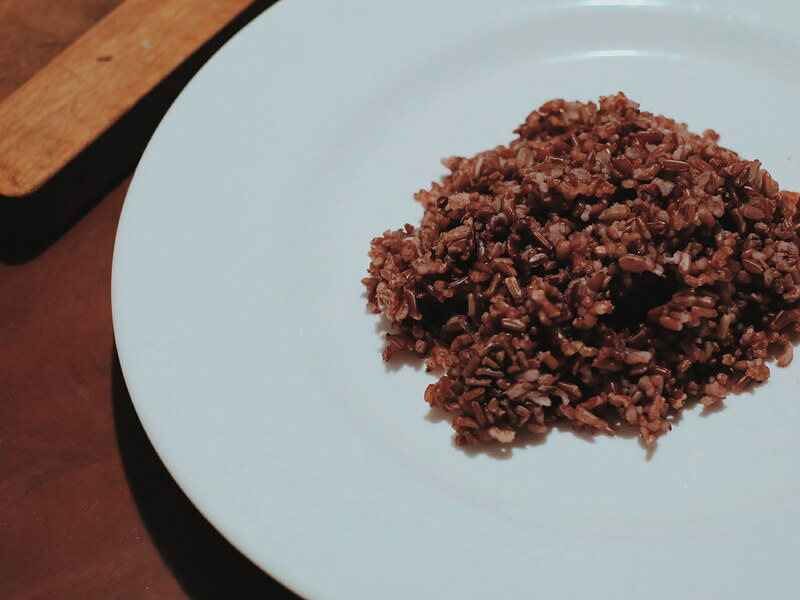 I am hopeful that with continuous eating of Red Rice, it would result to delaying the signs of aging by preventing skin aging and UV-induced skin damage. Thanks to the powerful antioxidant properties of anthocyanin. Anthocyanin in red rice can also reduce the spread of cancer cells and inhibit tumor formation. Use 2.5 to 1 ratio. That is 2.5 cups of water to 1 cup of Red Rice. Soak Red Rice for 30 minutes. Cook Red Rice in the soaked water until done. The trick is to manage time wisely. While soaking the red rice, I can use the time to do a quick stretch or answer emails. 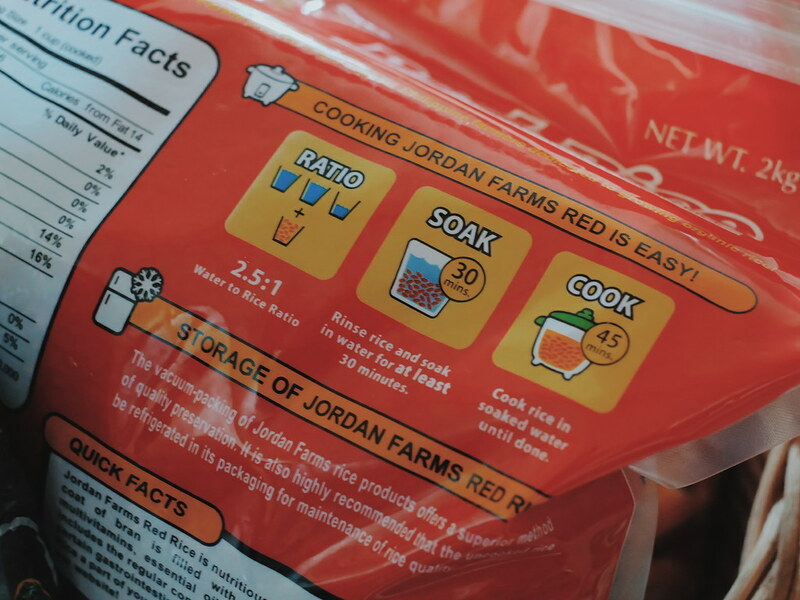 Jordan Farm's Red Rice comes in 800g, 2- and 5-kg packs (vacuum-packed). First, I love that I can buy my rice supply without going to the wet market. My mom knows I hate going to wet markets, so it is very convenient for me to buy rice in a grocery store. 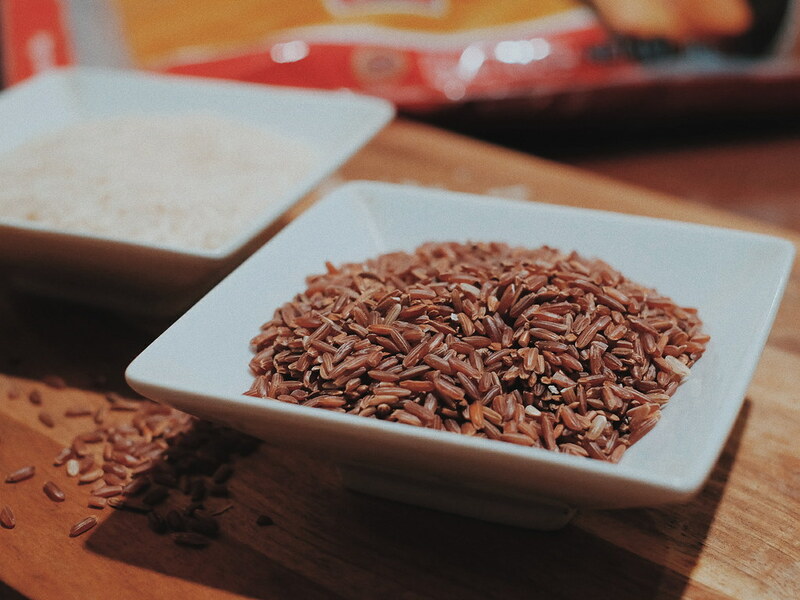 Jordan Farms Red Rice is well packed ensuring that it is of high-quality product. The preparation time is manageable. It cooked easily via the rice cooker and is ready to eat once ready. It gives a very nice nutty flavor, and chunky texture that goes well with fried dishes or anything with savory sauce. Somehow, I feel like I can eat it on its own because it reminds me of the local kakanin, biko. For days when I feel like indulging in Sinigang and Nilagang Baka, I might ask mom for a serving of white rice (Sunnywood has a variety of rice, and our current favorite for white rice is the Harvester’s Special Dinorado). I love that different rice variants are easily available in the market through Sunnywood. Be familiar with the brands under its wings: Harvester's, FarmBoy and Jordan Farms. Have you guys tried Red Rice? What do you guys think? If you are interested in Jordan Farms products, check out https://www.facebook.com/SunnywoodPH/ and Instagram https://www.instagram.com/sunnywoodrice/.